I didn’t start truly thrift shopping until college. College was when I really learned how to budget money for groceries, rent, AND have enough to have a killer wardrobe. I can’t tell you how many designer brand clothing items I have that were all found at thrift shops. In Utah, we have what is called Deseret Industries, also known as the D.I. It’s a place where people can donate their gently-used items and it’s pretty much a thrifter’s paradise. When it comes to thrift shopping, it’s an art. I’ve put together a few tips that will help you find those diamond in the rough items for a ridiculously good price! It often takes time to find those special items in a thrift store. Be patient and look at EVERYTHING! Take your time and be thorough when you’re looking through the racks. You’ll be surprised at how many designer items are out there! Sometimes you’ll just find stuff by luck, but it always helps to have a idea of what you are looking for. There are always great deals at thrift stores and you don’t want to get sucked into buying something you probably won’t wear just because it’s cheap. You may find the perfect vintage shirt however it’s one size too big, or the sleeves on a dress you found are a little poufy. Altering items can be done quite easily. You could take in that vintage tee to fit better or cut those sleeves off the dress to make it sleeveless for summer. Most items have great potential; you just have to be creative. Before you leave, be sure to look at every item carefully just to make sure you didn’t miss any possible stains, rips, or marks. Some stains can be removed easily with bleach but most thrift stores are final sale so once you’ve bought it, it’s yours for good! I love to thrift shop. I have never been one of those girls to spend $50 on a pair of heels or one that has to wear all the designer-name brands. Gag me. I love to be creative and make my own fashion. Thrift shopping allows you to find some great vintage items while keeping your costs low! Plus you’ll have way more clothes (and variety) than those girls who stick with their designer-name brands anyway! What’s your favorite place to thrift shop? 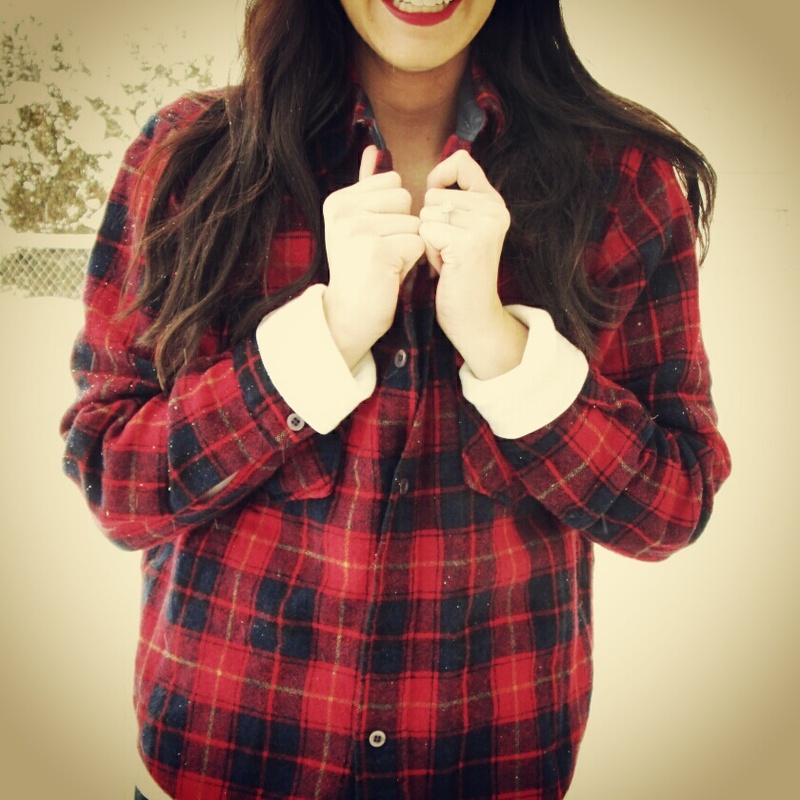 Below are a few of my favorite posts I’ve done with thrift items, check them out!